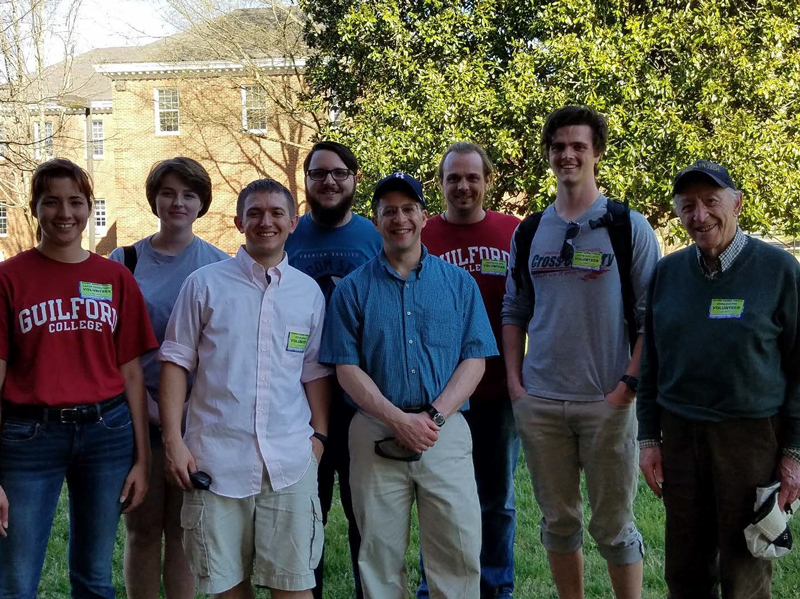 SPS at Guilford College has had quite the year and we expect the coming years to be even more exciting as we fine tune our approach to hands on learning and self-directed exploration. We are humbled to serve the community and honored to have the support from our department, SOCKs and SPS National. As we look to the future, we are keeping track of the activities that have worked well, not-so-well, and ideas for broadening the programs. New members of our chapter have been handed down the skillsets of engagement by the older members and through the positive impacts we collectively make, we endure not just as a chapter, but as a family. In many respects, the interactions with young scientists and seeing their sense of accomplishment is a warm reminder of when our own scientific light bulbs turned on… we just provide the battery, the children discover how to make it work.